Klartraum duo Nadja Lind & Helmut Ebritsch release their ode to Kazantip, simply titled ‘Kazandub’ and backed with remixes from the festivals home country of Ukraine. The story goes that Nadja Lind & Helmut Ebritsch were sat at the breakfast table of their hotel in the Ukraine last summer, after having performed their Klartraum live set at the world renowned Kazantip festival when they came up with this track and the concept for the release. 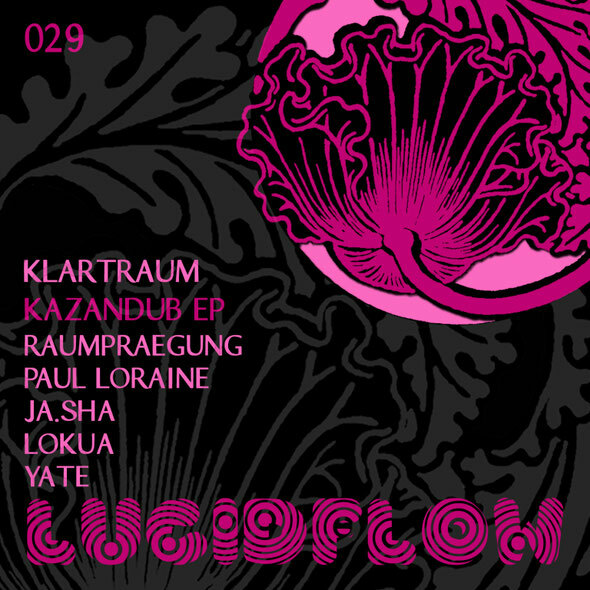 The song ‘Kazandub’ is essentially an instrumental electronic ode to an incredible festival and the people that the Klartraum two met there, and those people not only provided the inspiration but also majority of the remixes featured on this package. Lind & Ebritsch have been melded together since joining forces in 2006 and have since then become a production powerhouse, releasing outstanding dub techno and tech infused house through their own Lucidflow imprint. This latest release once again sees Klartraum delve in the deep and dubby with a track that is stripped and spacious yet instantly engaging. The remix package kicks off with a reworking from Paul Loraine who has recorded for Lucidflow amongst other labels. His mix is a rolling percussive and deep affair that works from the off and it’s easy to see why it’s been picking up early support from the likes of Funk D’Void. Next up is Ukrainian duo Yate AKA Technique & Yaroslove who take things in a deep and spacious house direction with their superb mix. Chicago artist Lokua steps up next and drops a driving slice of brooding techno that is perfect warehouse material. To complete the package, there are mixes from two Ukrainian brothers befriended by Nadja & Helmut on their trip. Ja.Sha’s version is a piece of broken beat electronica whilst Raumpraegung’s remix has a ethereal ambient techno feel to it. Out now on Lucidflow.